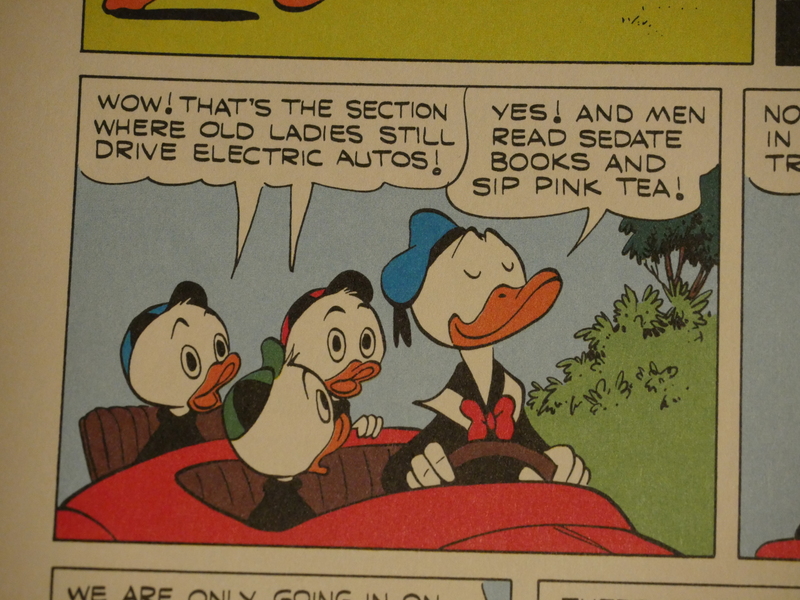 I suppose this is a reference to Grandma Duck’s electric car? Nope. Donald and the boys are just off to find a peaceful neighbourhood.